Our reclaimed wood is salvaged from a variety of sources, primarily barns and industrial buildings being demolished. These structures were often built with materials harvested from virgin forests, and the woods show beautiful tight growth rings, rich patina, and character from previous use. We also work on occasion with materials salvaged from other interesting sources; water tanks, wine vats, shipping crates, and rafts used in the logging industry. How many board feet have you kept out of landfills? Over 1 million board feet a year, for nearly 30 years. How is your facility eco-conscious? We "pioneered" in-house recycling in our industry, through the use of boilers which burn our waste wood to power our kilns, and heat our shop. There's virtually no smoke or ash generated because of the extremely high temperatures. Our sawdust is recycled into pellets for home heating, our electricity is generated through solar panels & wind-power, and our office is heated with an incredibly efficient hydronic heating system. Did we mention that we recycled an entire bowling alley to make our shop? Yes, we do! In Farmington, New York and Portland, Oregon we welcome homeowners to come by to see products in person and peruse our showrooms. Be sure to make an appointment with us, so we can have one of our sales team members ready to walk you through options. Call us (800-951-9663) or email us to make an appointment. What region(s) can you ship to? Pioneer Millworks ships worldwide. We can ship anywhere, though to cut down on your costs and the environmental impacts of transportation we'll ship from one of our shops in Oregon or New York. What wood species do you have available? Our reclaimed wood standards include: softwoods (like Heart Pine and Douglas fir), many domestic hardwoods (like Oak, Ash, Elm, and Hickory), and a few reclaimed tropical wood species (like Indonesian Teak and Karri). Still, if you don't find exactly what you desire, call or email us. We have 9+ acres of wood on two coasts and an insatiable passion to please you. What is your widest available flooring? In our reclaimed & FSC-Certified flooring, we mill up to a 9" face width, though special orders can be taken for floors as wide as our available stock allows. How do we know old wood is safe, free of lead, DDT, creosote? Pioneer Millworks uses various testing methods and outside laboratories to test materials for contaminants, and eliminate those which are problematic. Creosoted timber is never used in any of our products. While all reclaimed material containing original paint remnants is tested for lead by our acquisitions team, we cannot guarantee that any material is 100% free of lead. When a batch of material is tested for lead paint, we randomly select sample pieces for testing. If all of the sampled pieces test negative, we feel confident in presenting the material as being non-hazardous in terms of lead paint. For legal reasons, we cannot however proclaim it 100% free of lead paint. There is always a possibility that there is a minority of untested material within the batch that may have residues of lead paint. The only way to guarantee that material is 100% free of lead paint is to apply a nontoxic faux finish to unpainted reclaimed material. Wood is a renewable resource, plain and simple. It grows in forests around the world in a vast variety of species. When managed properly, as in an Forest Steward Council Certified forest, wood can be harvested for generations. When compared to other structural methods like steel and concrete, the "embodied energy" in wood is significantly less, due to its relative ease of harvesting and milling. Wood is a carbon-sink, meaning it takes carbon from the atmosphere and stores it in it's fiber. So when you build or design with wood you are actually helping to fight climate change. Reclaimed wood has an extended LCA (Life Cycle Assessment) because it is cradle-to-cradle. Wood timbers and siding are recovered and then recycled to be turned to flooring, paneling, timbers, and other wood products. This also means that the carbon-sink of the wood is maintained, keeping more carbon out of the atmosphere that would otherwise be released as the wood biodegrades in landfills or is incinerated. Pioneer Millworks has created various grades and descriptions to quantify as best we can the board stock and finished product ordered. Due to the quirkiness and variability of our sources, these descriptions are very good, but not perfect guidelines. For this reason, we request that our customers review and agree to our terms and conditions. View them here. Payments by Check and ACH Wire Transfer help us maintain our competitive pricing. For your convenience, we also accept Visa, Mastercard, American Express, and Discover payments for orders totaling $5,000 or less. Please note: All purchases require 50% deposit to initiate order and 100% payment prior to shipping All orders under $2,000 require payment in full to initiate order All orders with 2 week or less lead time require payment in full to initiate order and may be subject to rush fees A returned check fee of $50 will be charged for all checks returned to us. What is your ACH Funds Transfer/Wire Transfer information? Please click here to email us, and we’ll be happy to send you our wire/ACH info. Who should I make my check payable to and where should I send it? Pioneer Millworks, Inc. 1180 Commercial Drive Farmington, NY 14425 Still have questions? Send us an email . Are your flooring products available pre-finished? We are happy to pre-finish any of our products to make your installation even easier. What we recommend depends on the species you choose and the look you're going for. Our finishes include nanocomposite, hardwax oil, water-based poly, fire-retardants, custom stains & colors, and shou sugi ban burning. Do you recommend different finishes for different floors? The short answer is yes—the type of finish used will be dictated by the type of flooring, coupled with the use of the material, environmental considerations, and the desired final appearance of the wood. Call us, and we can help guide you through these questions! What is a Nanocomposite Finish? Our Nanocomposite Alumium Oxide consists of 7 UV-cured coats including ceramics, diamond dust, and oil. This high performance no-VOC, BPA-free finish is unequaled in wear resilience and durability. We're also able to include color to meet your project's vision. Call us or email us with any questions. Does your Shou Sugi Ban finish require special maintenance? In an exterior application Shou Sugi Ban is traditionally a dynamic finish, meaning that it will naturally change over time. Usually this involves a gradual fading and some flaking of the char. Regular maintenance can help minimize the change. Washing with water and a mild detergent and re-oiling with an exterior grade penetrating once a year (or as needed) is recommended. Volatile Organic Compounds (VOC's) are organic chemical compounds which evaporate quickly from finishes, adhesives, solvents, etc. often emitting toxic smelling odors. This has become a "Buzz-term" recently, as buildings have become better insulated, increasing our exposure to these compounds. Low-VOC finishes, such as hardwax oil and water-based polyurethanes, are the best options to reduce VOC's indoors. What treatments does Pioneer Millworks offer to get a Class A, non-combustible finish (ASTM E-84)? We are well-versed with using flame retardants on wall paneling given our extensive experience in commercial applications of our reclaimed wood. The primary treatment we use is applied in our shop and penetrates into the surface to give a class-A rating. In most cases, this will darken the wood slightly, but it doesn't sit on top of the wood enough to produce a noticeable sheen. Some species or types of reclaimed wood absorb the treatment more than others, and we can work with you to develop samples to meet both the visual and performance characteristics you need. Still have questions on finishes? Send us an email. FSC is an acronym for the Forest Stewardship Council™. This is an independent, not-for-profit organization which was established to promote responsible forest management. All of our reclaimed wood products (including our eco-engineered wood flooring) are FSC-certified (FSC-C109137). You might ask why we carry FSC-certification for a wood which is recycled, and therefore already an environmentally sound choice? We think it is worth it for you to know without question that the wood you purchase from us is 100% recycled. 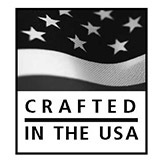 Pioneer Millworks was one of the very first companies to become FSC Certified for Recycled Wood in 2007, and we are one a handful of companies in the industry that fully manufacture our flooring - in other words, no part of manufacturing goes out of the country or to any other manufacturing facility. Our FSC-certification includes three categories: mixed, pure and reclaimed. LEED is an acronym for Leadership in Energy and Environmental Design. LEED was created by the United States Green Building Council. It is a program for establishing standards for environmentally sound construction. Meeting certain specific criteria, different levels of LEED certification are awarded. Are your products LEED point eligible? Yes! The points/credits available for materials vary based on a variety of criteria. Call us - we can point you in the right direction. Why don't you list your LEED points? Because geography, material types and percent used can affect the eligible LEED points, it's best to talk with a local LEED AP to find out what our products will qualify for in your area. Pioneer Millworks also has LEED AP's on staff and can help answer basic questions. What is the new California formaldehyde regulation? In April 2007, the California Air Resources Board (CARB), a department of the California Environmental Protection Agency, voted to implement new limits for formaldehyde emitted from composite wood products. These new limits will be implemented in two phases starting January 1, 2009. When the final limits are fully in place in 2012, the regulation will establish the toughest production standard in the world for formaldehyde emissions from composite wood products. The California regulation governs the formaldehyde in both raw composite wood panels and finished products sold or used in California. Both imported and domestic products are regulated and must be third-party certified and clearly labeled to indicate they meet California's requirements. Learn more on CARBs website. What composite wood products are covered by the new regulation? The regulation applies to hardwood plywood, particleboard, and medium density fiberboard (MDF) and all products (such as furniture, cabinets, flooring, store fixtures, moldings and millwork, countertops, decorative household items, doors, etc.) made with those products. Composite wood is a popular material for consumer products because of its design flexibility, structural properties, and inherent environmental benefits. In particular, particleboard and MDF are manufactured from recycled and recovered wood residuals and other by-products diverted from the solid waste stream, making them among the greenest building materials in the world. How does this affect the World's Most Eco-Friendly Engineered Flooring? Pioneer Millworks' engineered flooring is covered by the regulations. We are categorized as a fabricator, therefore we do not need to test the final product. Although not required, Pioneer Millworks has the test data from our plywood supplier with tractability. The plywood we use has phenol formaldehyde which is excluded from the regulations as it causes no health risk. The only thing that would contribute to the formaldehyde levels in our finished product is the glue used to attach the wear layer to the plywood. Our glue has minute levels of formaldehyde and under the regulation is deemed to be at a zero level. Still have questions on FSC, LEED, SFI or CARB? Send us an email. When should I use engineered flooring? Engineered flooring is perfect for any dry below-grade (basement) application, or for areas where the floor needs to be floated, glued down to concrete, or placed over radiant heating systems. While solid woods can often be used in the same applications above grade, our engineered flooring is a more stable option, and it helps to increase the available yields from limited species. How are solid and engineered flooring different? Solid floors are a full 3/4" thick, and milled to the width you specify, at the longest lengths possible. Solid floors are best suited to installations where the floor is blind or face nailed into the subfloor, above grade. Engineered floors are 5/8" thick overall, with a 3/16" "wear layer" of wood, and are 1' to 8' in length. Engineered floors are perfect for installation over virtually any subfloor, whether concrete or conventional construction and can also be installed below grade. Can solid or engineered flooring be installed over radiant heat? Both our solid and engineered flooring can be installed over radiant heat. The specifics of the installation are dictated by the type of radiant heating system you're using. Give us a call to talk more about the best option for your project. What is your substrate made of? FSC-Certified Baltic Birch. 9mm (7 ply) thickness for finished 1/2", 12mm (9 ply) thickness for finished 5/8". Both are CARB2 and TOSCA compliant. What is the difference between floating, gluing, nailing or stapling a floor? Engineered floors are typically installed by floating (gluing the tongue & groove together), or by gluing the floor down to the subfloor using a polyurethane adhesive, which will allow the floor to move naturally. Solid flooring is typically nailed or stapled through the tongue, or nailed through the face on wider planks, into the subfloor below. Call us, and we can work with you to determine the best installation method for your project. Still have questions engineered and solid flooring? Send us an email . The majority of our deliveries ship with a common carrier to save on fuel costs and emissions. Pioneer Millworks will forward you the shipping contact and tracking information once your order is in transit. The material arrives at a local dispatch terminal and then is scheduled out for delivery to your site. Your order will be delivered in a full-size (53’) tractor trailer van unless otherwise specified, or for certain situations (e.g. tight urban streets or some residential sites). All the carriers we use are highly rated for reliable deliveries, sustainability, and customer service. We commonly use XPO Logistics, C&M forwarding, YRC Freight, ABF Freight, FedEx, and UP—we are continually price comparing. Additional delivery services may be available, please contact the shipping coordinator for pricing and availability. Am I able to use a lift gate truck? If you will need a lift gate to remove the material from the truck, please inform Pioneer Millworks when the proposal is being signed. Orders must be cut and packaged to 8ft lengths or less in order to fit on a lift gate. The work order that goes to our shop needs to reflect this length limit so that longer boards can be cut to fit the dimensions. If you need material that is longer than 8ft for your final installation, a lift gate is not an option for your delivery. I will not be on-site for the delivery. Can I name a different receiver? If you are placing or purchasing an order, but will not be at the delivery site, please let us know who the receiver will be. Are they your general contractor/site supervisor/installer, or a family member for residential deliveries? What is the best phone number to reach them? Let the Shipping Coordinator and/or your Reclaimed Wood Expert know in advance and we will be sure they are included in all arrangements and shipping communications. How can I be sure the delivery drivers have all my correct information? The best way to ensure that the carriers have the correct contact information and delivery instructions is to confirm shipping details with our Shipping Coordinator. All addresses, contacts and service requests are kept up- to-date in our internal database. The customer service team draws from the database to coordinate each shipment with our carriers. If you move or need the shipment sent to a different site after your order is placed, please inform customer service or your shipping coordinator as soon as possible. What should I do if I need to change any of my shipping details (e.g. address, contact info) once my order has left the Pioneer Millworks? If there are last-minute changes to the shipment, please give the carrier a call directly and authorize them to make the changes. Also let us at Pioneer Millworks know so we can keep the database updated, and further coordinate with the carrier on your behalf. Will the Delivery Driver or Dispatch call me to let me know when they will arrive? They certainly can, we will just need to place a request for a notification call when we arrange the delivery. To make sure the driver can reach someone on site, please let us know the best phone number to reach the receiver of the shipment. Is an appointment delivery required? Can I just get a head’s up call from the incoming driver? You do not need an appointment for delivery; Pioneer Millworks can let the drivers know your receiving hours. However, if you prefer an appointment window, we can request one for you when setting up the shipment. We can also request a courtesy call from the driver or dispatch to let you know when the truck is 1-2 hours out. Will my material arrive on time? Every effort is made to ensure the timely delivery of your order. When your order is quoted, the travel time is estimated and kept with the order details. Once your products are complete, the delivery date can be narrowed down. At this point, you can choose to create an appointment for delivery, or keep to the estimate which is within a range of a couple of business days. If you would like an appointment, the carrier will be notified of the request and they will contact you directly to make arrangements. Our Shipping Coordinator will send you the shipping contact and tracking information once your order is in transit. Though we strive to have on time deliveries, shipping is not an exact science and weather or traffic delays can effect shipments. We work with reliable carriers, and should anything happen to change your delivery date, we will do our best to inform you ahead of time and mitigate the issue. Can I, or will I need to contact the carrier directly? You are welcome to contact the carrier directly to discuss the details of your delivery. Your tracking email will contain the website and customer service number of the company handling your shipment. Please reference your tracking number when communicating with them. If you make significant changes to the delivery address or request additional services, the carrier will most likely contact the Pioneer Millworks shipping coordinator to authorize the shipping changes, as they can effect shipment costs. In this situation, Pioneer Millworks will reach out to you to confirm the changes are correct before authorizing the carrier to adjust the shipment. It is best to inform Pioneer Millworks and the carrier of changes at the same time to avoid delivery delays. How do I unload my material on site? Do I need a forklift? Your material will arrive stacked in hand-bundles (approximately 25sq ft in each), strapped, and wrapped to a long pallet or skid. Depending on the product, it is also possible your shipment may come dead stacked directly on the pallet. We find it best and fastest to off load from the back of the tracker trailer with a forklift with long forks and/or chains. My order is delivering to a residence and I need help to unload. Will your carrier move my material inside? If your material is delivering to a residence, please let us know as soon possible, preferably when you place your order. It will effect the way the carrier delivers the order and the cost of shipment. Common carriers generally do not move material indoors on a delivery, nor do the drivers unload the vehicle. The receiver is responsible for unloading the order from the tail of the truck. If you need help unloading and moving material into a building, please let us know and we will request an ‘inside delivery’. If we inform the carriers of an inside delivery, they will send extra staff with the driver to your site and/or allow extra time. They will unload your material and bring it just inside the structure (e.g. home, garage, overhang). This does add some cost to the delivery to cover the extra help and time. If there is a special circumstance and you will not be able to unload the material from the truck at all, due to lack of crew and/or equipment, etc. there is a special service we can quote for you, White Glove Delivery. This service has the carrier unload the truck, bring the freight inside to the room you specify, remove the material off the pallet, stack it and remove all packaging and pallets from the site. Please note: this type of service will incur extra costs from the carrier, and it is not always available with every carrier. Please let the Shipping Coordinator know your needs and we will work with you to assure a smooth delivery. Can the truck pull into my driveway to unload closer to the door? Standard LTL (less than truck load) deliveries are considered street-site drop offs and will not pull up into the driveway. Typically, common carrier tractor trailers are too large to turn around in a residential driveway. However, if we know that your driveway is accessible, we can let the drivers know and they can determine how best to deliver when they arrive on site. There is an extra cost associated with residential deliveries for all carriers to accommodate the extra time and care needed to navigate these sites. What should I do if my material arrives damaged? Though rare, occasionally material can get damaged during transport. If you notice any damage to your boards as you unload, please make a written note on the Bill of Lading/Proof of Delivery form (the document the driver has with delivery instructions). If possible, document the damage in photographs and email them to Pioneer Millworks. If there is a note on the Bill of Lading/Proof of Delivery, we can negotiate with the carrier company to compensate for the damages under their guarantees. If there is any dispute from the driver/carrier company, and we lack notes/pictures, it is more difficult to prove that the damage occurred during transport. Either way, we at Pioneer Millworks will replace any damaged material and will arrange any needed returns as quickly as we can. Please work with your Reclaimed Wood Expert to move the material through production. Still have questions on shipping? Send us an email. What are the square foot measurements (and how do I calculate them)? Square footage is calculated by multiplying the length in feet by the width in feet. You'll usually want to add another 7–12% for cutting and installation waste. How are nominal and actual measurements different? Just like a 2 x 4 is not really a 2 inch by 4 inch piece of wood, our flooring is specified in whole inch increments. The actual face width after milling is 1/2" less, so for example, a 6" plank will have a face width of 5 1/2". Not to worry, we ship you the proper square footage of your order measured off the actual face width after milling, so you don't have to perform any complex calculations. Still have questions on measurement? Send us an email. Do I need to let my floor acclimate prior to installation? Our flooring should be acclimated until it is within 2 - 3 percent of the moisture content of the subfloor to get the best installation possible. How do I glue down a floor? Heart Pine is the heartwood of the Longleaf Southern Yellow Pine tree (Pinus Palustris). The Virgin old-growth forests covered the southern US from Virginia over to Texas, and the wood was harvested extensively through the 1800's because of its sheer size and strength. While only a small percentage of these original forests remain today, our Heart Pine is sawn from timbers that were cut from the original logs long ago. Companies will label a floor as "old growth" but it doesn't necessarily mean it was cut 100 years ago - it could be the recent cutting of an old, old tree today. Despite being a species of Pine, it has remarkable hardness, 1200 on the Janka scale, making it nearly as hard as Red Oak. Since the reclaimed wood industry doesn't have a specific governing grading agency, each company is left to develop their own grades. American Gothic is one of our grades, created by sawing blanks from large timbers reclaimed primarily from barns & agricultural buildings, leaving each plank with a clean, smooth surface. What does 'fresh sawn' mean? Fresh-sawn woods are those which have been cut from newly harvested trees, and not from reclaimed wood. Some companies tout their fresh-sawn woods as "Old Growth", which is a confusing claim, and it does not mean that the wood is any older than a typical fresh-sawn wood. What is the difference between sapwood and heart wood? Heart wood is the center-most portion of the tree, and is the part that "died off" as the tree grew. It is harder than the sapwood, and because it is not actively carrying nutrients it is more dimensionally stable when the wood is cut into flooring planks. Sapwood is the living outer portion of the tree just under the bark. It is generally lighter in color and softer than the heart wood due to the continued work of the sapwood in carrying water from the roots to the leaves. In our flooring, the percentage of heart wood & sapwood can vary - be sure to check out our grade specifications to see how much of each you will see in your floor. How do you get the character marks on your Settlers' Plank line? We are careful not to remove what history and original wear these boards have - we leave the character, saw marks and original patina in place. We don't add fake marks - Mother Nature, time, and the countless years of hard use on a farm are to thank for the rich character in our floors. What is the Janka hardness rating scale? The Janka scale provides a consistent numerical reference of hardness for various species of wood. The higher the number, the harder the wood. Why don't you carry bamboo? One could fill several pages with information as to why Bamboo is a poor choice for flooring. (We filled one, see our bamboo specific page.) Lack of durability, elimination of natural species in favor of bamboo farming, unsafe/unethical labor practices, harsh chemical adhesives, embodied energy in bringing the product to market....the list goes on. A unique reclaimed wood floor from Pioneer Millworks will add far greater value to your project, and the materials will far outlast Bamboo, saving you money on a new floor down the road. Plus, you'll feel a much better using our flooring, knowing that your wood came from our very own shops, right here in one of our two manufacturing locations in upstate NY and outside Portland OR - staffed by some of the best craftsmen in the industry. Still have specific questions? Send us an email. Yes, we have a minimum order of $1000, and while orders of lesser amounts can be accommodated with sufficient lead time, we do add handling and setup charges to offset the time involved in preparing smaller projects. Can I purchase small amounts for woodworking projects, frames, etc? Our minimum order is $1000, and while orders of lesser amounts can be accommodated with sufficient lead time, we do add handling and setup charges to offset the time involved in preparing smaller projects. If you'd like any specific pricing, let us know ((link to get a quote form)) where you're located, as well as some ideas on what material you might need including dimensions and quantities. Can you accommodate single width orders? A single width order, especially of any size, can sometimes be challenging depending on stock and the found material dimensions. This is why a vast majority of our work is done in random widths. As an example, if we are making all 6" planks, everything 7", 8" 9", etc has to be ripped down, and we start losing a significant amount of material in production that can't be used elsewhere because it is to narrow. That wood has still been acquired and processed up to that point, so there's obviously cost associated with it. In addition to the physical constraints a single width puts on production, there's also the environmental aspect of such an order. Random widths allow us to make the best use of our resources, preserving as much of the wood we reclaim as possible. By generating more waste through production of a single width, we're adding to our waste stream and using a lot more embodied energy to the process, both of which work against the environmental benefits of using reclaimed wood.